These look delicious, but "leftover mashed potatoes" are not a problem for me. These look delicious and totally evil at the same time. Yum! I just had something very similar at a pub, but they breaded the outside and served them with curried ketchup. I've been meaning to recreate them ever since! 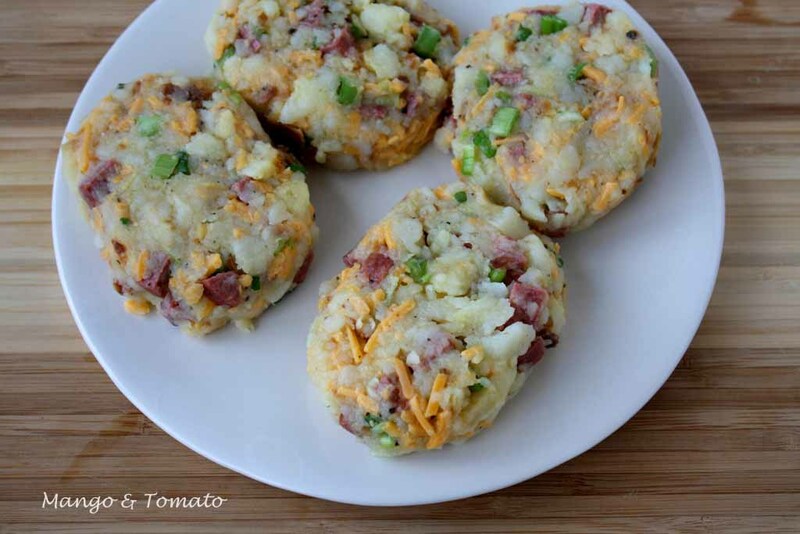 Well cant say i have left over potatoes, cause i always gobble them up, but these patties look awesome. 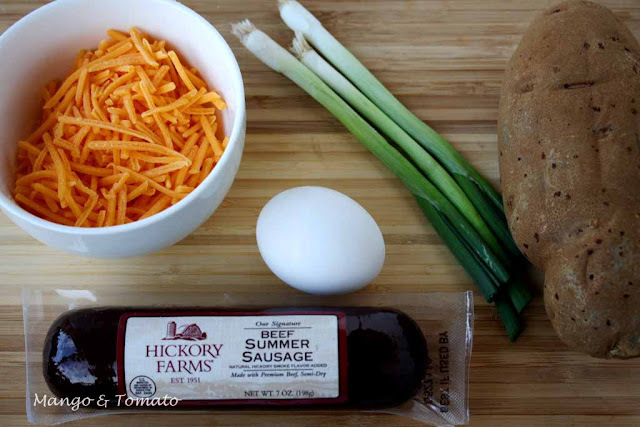 This might be my favorite comfort food recipe ever. I wouldn't just make these from leftovers, I would even bake the potatoes and cook breakfast sausage just to make these. 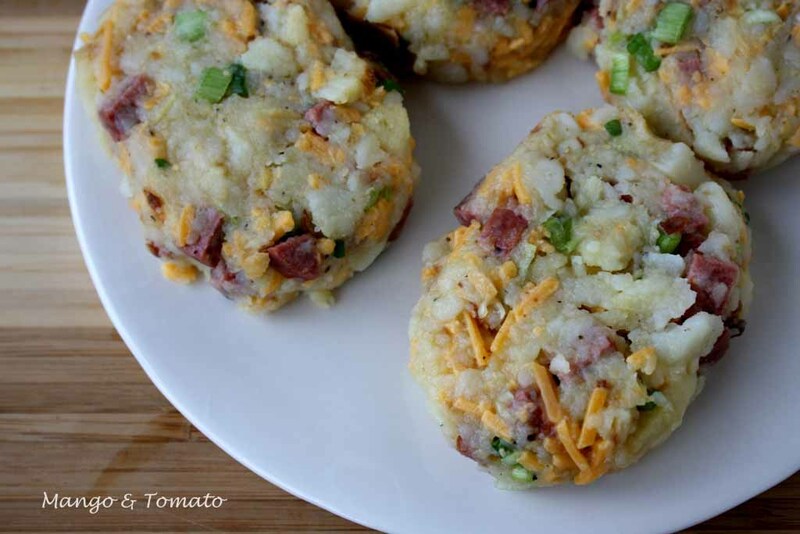 I would definitely serve these as bite-size apps at a party. I think they'd be really fun at a brunch party. those are yummy looking!! I think I will give these a try! 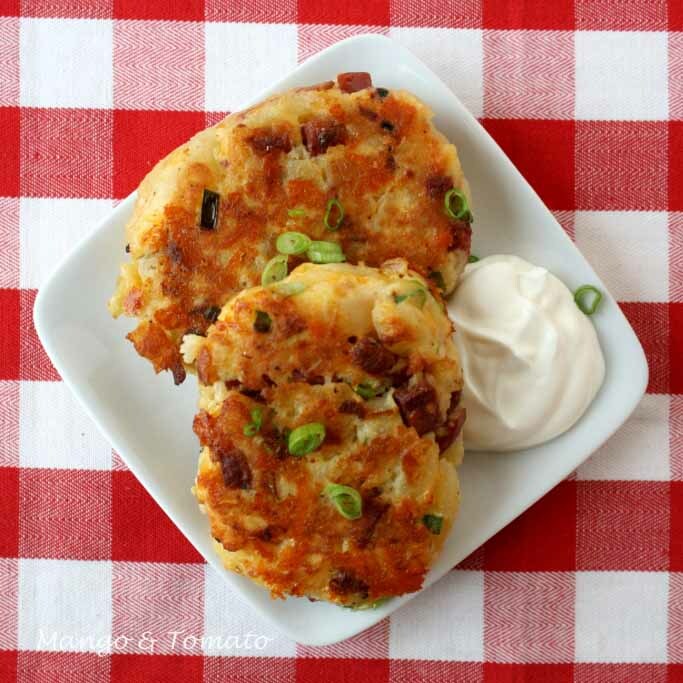 Your potato patties look delicious - and pretty! I'm surprised you were able to make these without adding flour. 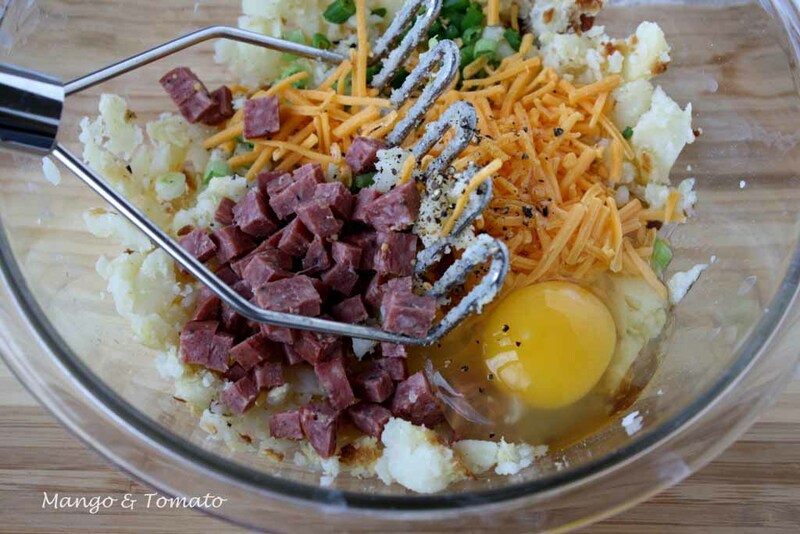 Maybe this is because you used freshly mashed baked potatoes rather than leftover mashed potatoes? 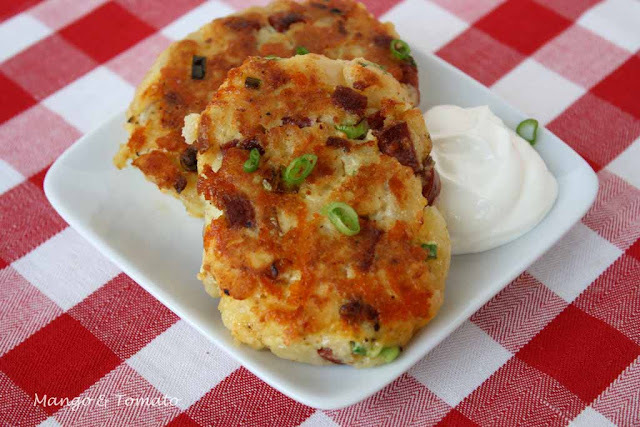 I often use yesterday's mashed potatoes to make potato patties and I always have to add flour, otherwise they are too runny and don't stick together. Other ways I use leftover cooked potatoes are in frittatas and breakfast hashes. 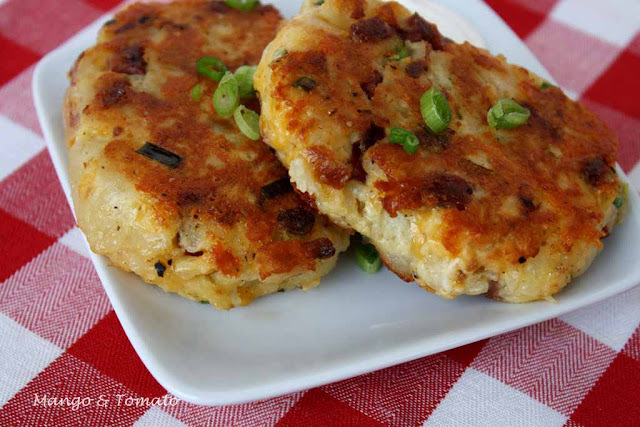 The addition of the sausage makes these little patties amazing! 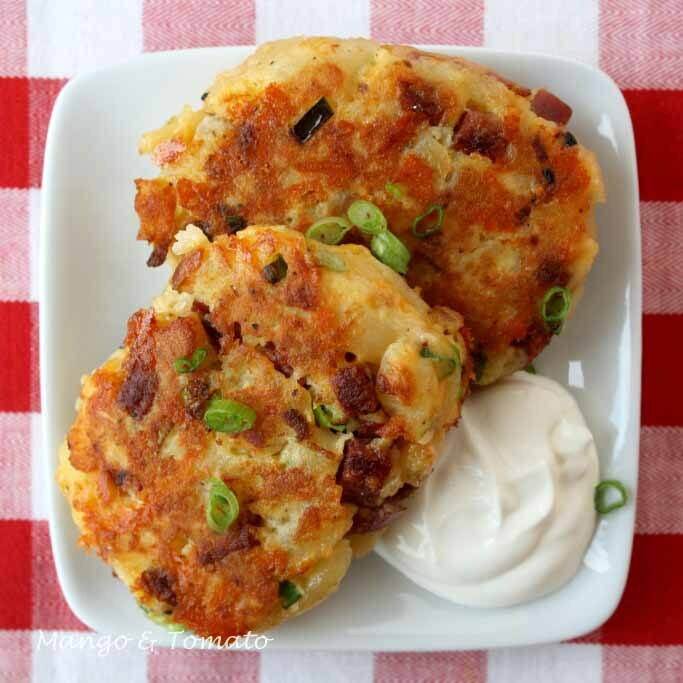 oh man do these make my mouth water, and since i was looking for a good potato latke variation for a holiday party, this might just fit the bill!